The misconduct, as claimed by Aam Aadmi Party MLA Saurabh Bharadwaj, includes not meeting the MLAs, not taking their calls, or not following the protocol vis-a-vis them. 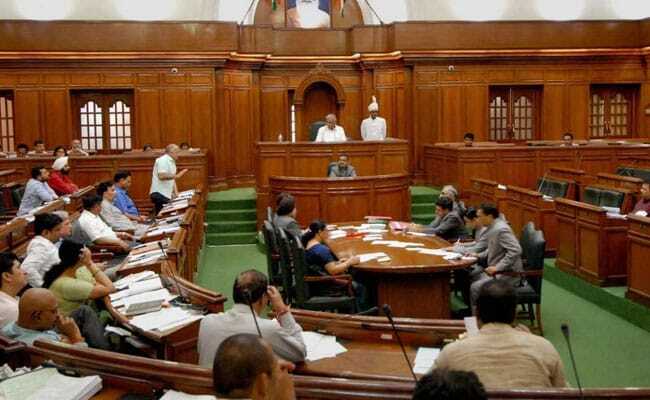 New Delhi: The Delhi Assembly on Monday passed a resolution to form a nine-member committee to look into cases of alleged misconduct of government officers with members of the house. The resolution for the constitution of the 'House Committee on Violation of Protocol Norms and Contemptuous Behaviour by Government Officers with MLAs' was moved by AAP MLA Vishesh Ravi. The committee will comprise nine members, including Chairperson, to be appointed by Speaker Ram Niwas Goel.